Priced per metre - please enter number of metres required in the qty box and this will be supplied as a continuous length. 19mm² tinned copper, round section earth braid suitable for low voltage automotive and marine applications. 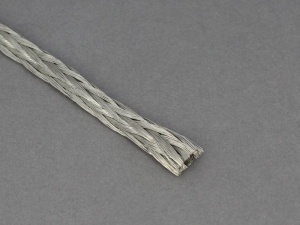 Good quality braided earth cable, sold in a useful length at a reasonable price. Would recommend.